Electronic Music Stuff with Fat Roland: BlueDot announce Kraftwerk as 2019 headliners - nice! BlueDot announce Kraftwerk as 2019 headliners - nice! BlueDot Festival has just announced Kraftwerk as headliner for 2019. For a festival which blends science and music, it's yet another canny booking. So to celebrate, and because I'm lazy, here are some hastily-lifted Kraftwerkian highlights from the entire history of this blog. Happy browsing. 1. KLING! Top five bands that you wouldn't expect to record Kraftwerk covers but they did, honestly they did... read more on this 2010 Kraftwerk blog post. 2. KLANG! Orbital have a new single out, and blow me down with an electronic sausage, it's a Kraftwerk cover. Read more on this 2017 Kraftwerk blog post. 3. KLONG! According to my pocket calculator, Florian Schneider was in the band for 38 years. To put that into perspective, teenager-snuggling metallics-botherer Bill Wyman was in the Rolling Stones for only 30 years. 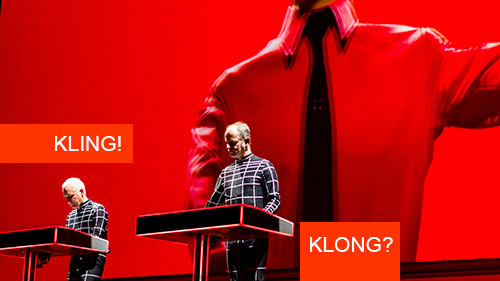 Delve into this 2009 Kraftwerk blog post. 4. KLENG? In the beginning, you had the puritans. Kraftwerk, who were clean and clinical, who stood there on their podiums giving sermons about wild ideas like pocket calculators and autobahns. Read my 2010 Gospel According To Aphex Twin. 5. KLUNK. All I have now are reflections of a remarkable time. Read my reflections on my debut 2015 solo show Kraftwerk Badger Spaceship, written moments after I finished a run in Edinburgh.